View cart “Wooden Christmas Spinning Tops – SET 3” has been added to your cart. Sonny Angel dolls are a cute collectible little boy doll that will bring a smile to your face! He wears all different sorts of headgear and outfits to make it more fun. Sonny Angel comes in a blind box so you can’t see who is inside, which means you won’t know who you get until you open it up. Some of the characters are super rare, so start collecting today! 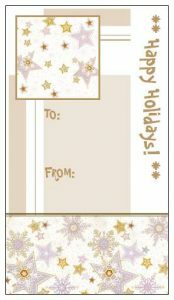 There are 4 assorted designs in the Christmas Series: Santa Claus, Christmas Stocking, Christmas Gift, Reindeer. There are also 2 secret designs, and one Robbie Angel 2016 version. Please note that not every carton has a Robbie Angel. They are very rare. There are 12 Sonny Angels per box, so doubles may occur. PLEASE NOTE: you will receive ONE doll. Photo is to show designs available. Join our newsletter to get 10% off your next order, plus be the first to hear about our latest products, super specials and secret sales. Subscribe to receive 10% off your next order. Get 10% off your next order and be the first to hear about our new products, super specials and secret sales!